Rihanna brought back all the memories of being a young girl in Barbados last night. She and two of her best friends pulled over on the highway to buy roasted corn from a guy. And we got to watch it unfold on Snapchat. 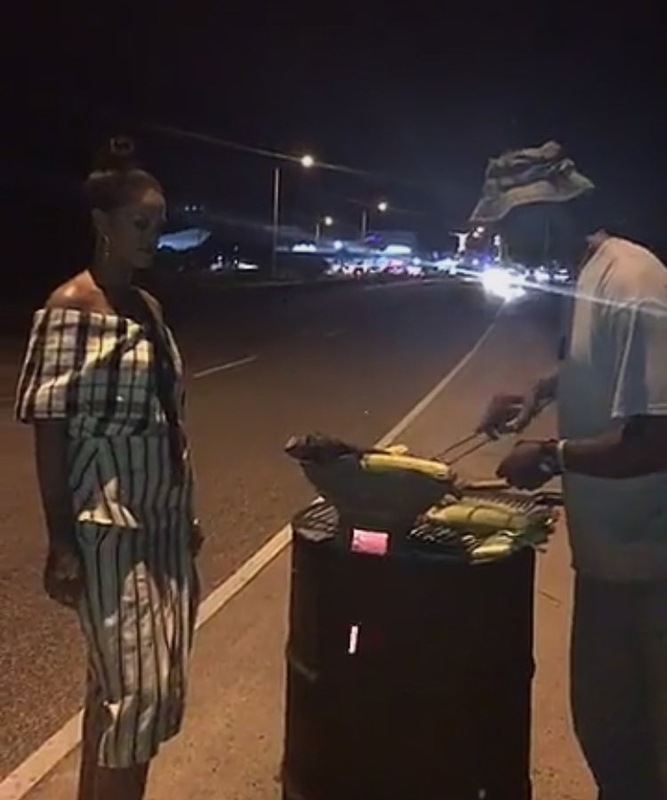 Rihanna chatted with the vendor about his process and lifestyle while waiting for her eats. If you’ve never had roasted corn, then you are missing out. Anyway, here’s what she wore. The Bajan beauty donned a look straight from Rosie Assoulin‘s Spring/Summer 2017 collection [Look 12]. 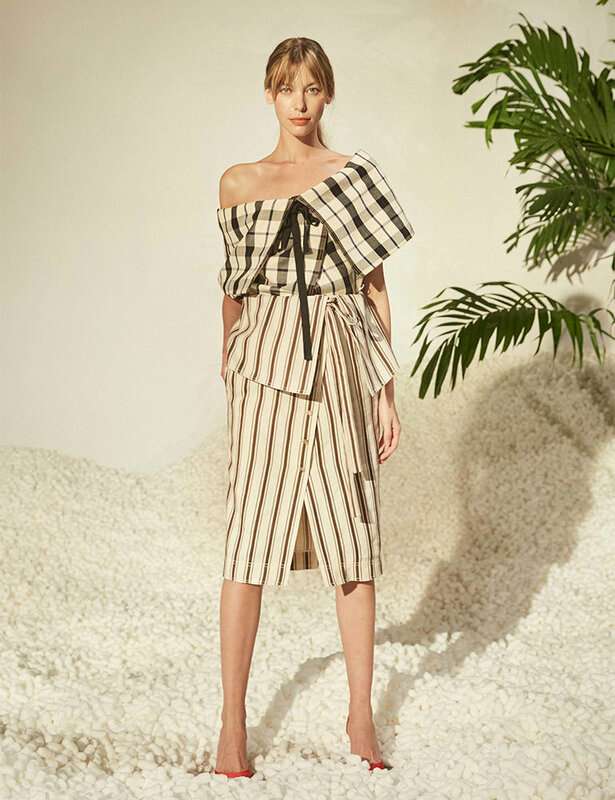 A black bow adorns the off-the-shoulder plaid top while the striped wrap skirt features a fold-over waist. Check out a few of the videos below.